When we start a new diet or exercise program, it’s easy to place blame when things don’t quite work out the way we’d planned. Our local grocer didn’t carry the right type of fish the diet required, or our gym didn’t have the specific brand of rowing machine the program recommended. If pressed, we’d probably have to admit that with a little extra effort we could have adapted that menu or made the available rowing machine work. So why is it so hard to get results in a day and age where you can literally download weight loss programs off the internet for free and where you can follow someone’s diet and exercise plan on Instagram post-by-post? For most of us, it boils down to the fact that we have nobody holding us accountable. Accountability is a key factor in determining the likelihood of success in any endeavor, and especially in our fitness and wellness endeavors. Just do a quick search of scholarly articles on accountability in exercise on Google and you’ll see pretty quickly how important this single component can be in determining your chances of success. Let’s take a look at four simple ways to add accountability to your weight loss or workout program. 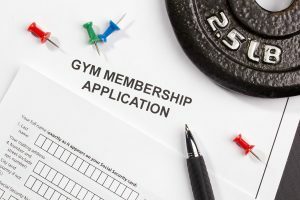 A lot of people find it helpful to make a financial commitment to their goals – of course, we recommend joining a gym (and not just any gym, we think you’ll LOVE Elevate Fitness). 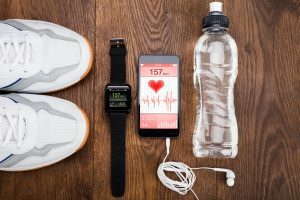 Whether it’s a new gym membership, new sneakers or a nifty high-tech fitness tracker, investing in your goals helps you feel committed to getting it done. You’re more likely to attend a gym you’re paying for than you are to use that free exercise video on YouTube. And the reason is simple: you’re not losing anything (in theory – really you’re losing the opportunity to reach your goals) when you skip a day of YouTube workouts, but if you skip out on a gym membership – you’re spending real money and it’s harder to make excuses to skip that workout. Whether it’s buying a gym membership, committing to a trainer or buying new shoes: drop a little cash on your goal and you’ll find that the investment often pays off big in the end! 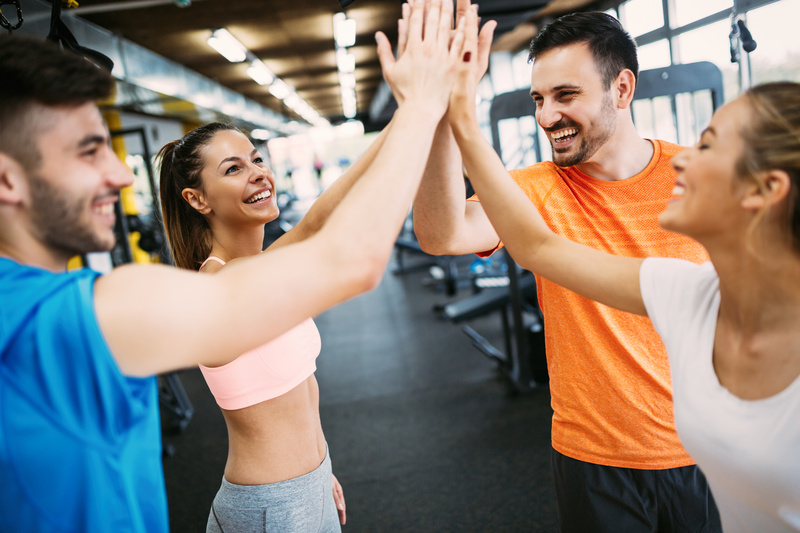 For some of us, a support system is a workout buddy, for others its participants taking a group fitness class or completing a cross training workout together. Almost everything in life is easier when you have people around you who are rooting for your success. A strong support system is a component of almost every success story. Working out in the gym? Try a group class or get a buddy pass and bring that particularly encouraging coworker in with you. Check out this post on why you should work out with your significant other. Find someone who’s in your corner and who wants to see you succeed – and better yet – be that person for somebody else and you’ll find that that will help you push harder toward your goals, too! It’s a fact that committing something to paper has a more profound effect than entering into your phone or a digital calendar. So buy a wall calendar or a day planner or even an empty notebook and start planning your workouts. Get your plan on paper and then it’s easier to stick to. 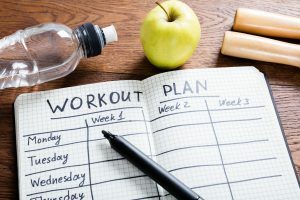 And don’t just schedule your workouts – plan your meals to discourage taking the “easy” or “fast” route and sabotaging your progress in the gym when you’re in the kitchen. Schedule dates to weigh in or get your next 3D scan (more on that later). The more you plan, the better your chances are of succeeding. Once you’ve got your plan on paper, start taking steps to make it a concrete plan. Sign up for your classes (Elevate Fitness makes that easy with our mobile app) confirm your schedule with your workout buddy, or even post about your intentions on social media – all of these simple and fast steps will help you hold yourself accountable to your plan. And remember what they say: failing to plan is planning to fail. Don’t just document your plan, document your results, too. Not only will that help with accountability, but it will help keep you motivated and wanting to accomplish more as well. There are a number of effective ways to document your journey. The most simple is journaling. Whether that’s keeping a log of your workouts and accomplishments or creating a photo journal of your journey on social media it will help create a history of small victories that keep you motivated and moving forward. Plus – if you’re posting your gym selfies on Instagram and suddenly stop, someone’s bound to inquire why – see? You’re already being held accountable! Another great way to document your journey is to pick a metric you want to see change. Maybe it’s your weight or your body fat or how much weight you’re squatting. Pick a metric and start tracking, you’ll be amazing at how quickly you’re caught up in the excitement of managing and moving that metric. A great tool for this is a 3D Body Scan which gives you a 3D avatar showcasing your progress as well as hundreds of individual and unique measurements you can manage. Best of all, it takes less than 5 minutes to get a lot of data to record your progress. READY TO CREATE YOUR OWN SUCCESS STORY? TRY ELEVATE FITNESS FOR FREE TODAY!